The Center for Spiritual Living is your place to find the perfect Retreat and Sacred Travel experience. Relax in beautiful Rainbow Lodge in North Bend, Seabeck on Hood Canal, or travel the globe to sacred sites like Portugal, Ireland, and Egypt. Scroll the page to view our current retreat and travel offerings. 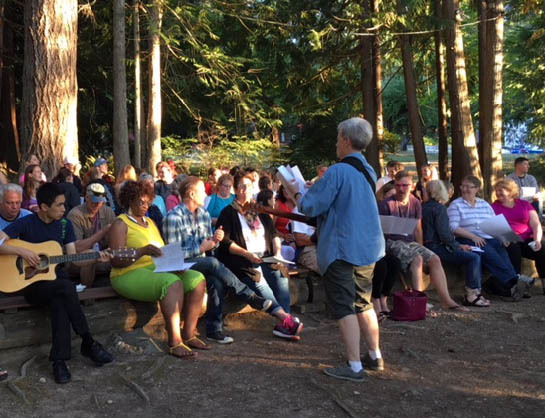 Since 1962, our All-Community Summer Camp at the historic Seabeck Conference Center is the place where CSL families, singles, couples, and Sages come together for a week of heaven. Located on 90 beautiful acres with sweeping views of Hood Canal and the Olympic Mountains, and just 90 minutes from Seattle, Seabeck is a magical place to rest, reset, and recharge, while experiencing the unbridled joy and freedom of this summer camp experience. Seabeck camp is created for the community, by the community, and includes activities such as workshops led by our amazing staff ministers; arts and crafts sessions; playshops led by your co-campers; movie night; evening prayers and meditation with Kathianne Lewis; a concert with a guest musician; and our famous Seabeck talent show. If you seek a break from activities, you’ll also find plenty of downtime where you can read, relax, go for a swim, or simply do nothing at all. A favorite past-time of many is sitting on the porch of the Inn in a rocking chair, watching the sun set over the Olympics. See Egypt through her Eyes & Heart. Experience the ultimate spiritual travel adventure to Egypt with Kathianne Lewis, DD. Visit Sacred Sites and explore Secret Science of ancient Egyptian mysticism. Spend a week in the rustic and stunningly beautiful beach town of Yelapa, Mexico. 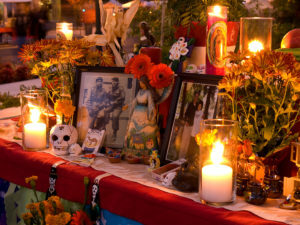 Take this time to reconnect with your ancestors over Day of the Dead with opportunities to heal ancestral wounds. Recognizing our past as a platform for our future, we stand on the shoulders of our ancestors, and can use them as one of our Spiritual Resources. Immerse yourself in this beautiful spiritual retreat setting with interactive programming led by Rev. Abigail Schairer. Enjoy local celebration and traditions during this sacred time, and give back through a service project to this remote and heart centered community. * Please note – Yelapa is a remote, indigenous community with no cars. Travelers need to be in good physical condition as you will be walking everywhere in town up and down hills and stairs and disembarking from the boat to the beach. Don’t miss this chance to join Kathianne Lewis, DD for a Sacred Travel Excursion to The Holy Land. 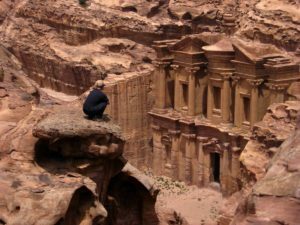 Kathianne will be teaching the Metaphysical meaning of Jesus’s words while you roam the holy land and Petra, one of the 7 wonders of the world! If you are feeling called to The Holy Land this trip may be for you! There is limited space on the trip and it is likely to fill up fast. Sign up now!